Holiday Travel Deals - From long weekends to Holiday weeks save big with LRTA member deals! Packages, discounts and specials for your holiday travel planning! Want to get away for Memorial Day, Labor Day or the 4th of July? Have some vacation time around the holidays and want to spend it relaxing? Wish to experience a Christmas winter wonderland? The Lakes Region of New Hampshire is just the place for holiday travel! Our LRTA members have set aside a wide variety of holiday travel packages and discounts to help you and your family make the most of your dollars and your holiday travel plans. 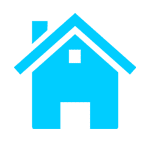 Browse through our listings and find deals in Laconia, Tilton, Meredith, Center Harbor, Weirs Beach Sandwich and all of the other wonderful towns and cities that make up the Lakes Region of New Hampshire. Summer holiday travel plans aren’t complete without a trip to the lake! Luckily, here in the Lakes Region of NH, that is one thing we have an abundance of! Stay at a hotel or resort on the shores of the majestic Lake Winnipesaukee, party down on Weirs Beach, or relax in the tranquility of Newfound Lake or Squam Lake… there are over 170 bodies of water to explore in the Lakes Region, and we’re here to help you find them all on your holiday travel vacation! No Deals found for Holidays and Long Weekends at this time.